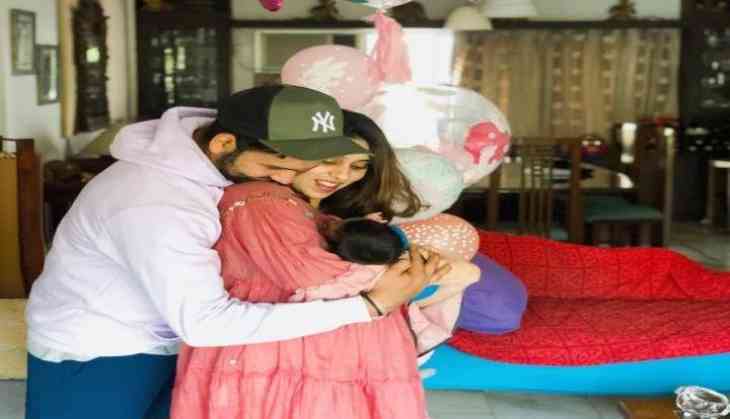 Home » cricket news » Rohit Sharma and wife Ritika share picture of their newborn baby Samaira and it is the cutest thing on internet today! After a hectic schedule, Indian cricketer Rohit Sharma returns home from New Zealand. In absence of Virat Kohli, Rohit Sharma was made the stand-in captain for the recently concluded T20I series which India lost by 2-1. The 31-year-old cricketer is now home to spend some time with wife Ritika and daughter Samaira. A video of Rohit Sharma playing with daughter Samaira is doing rounds on internet. Rohit’s dauther was born in December last year for which Rohit was given off from a match to go join his family. India will now play Australia in a two-match T20I and a five-match ODI series starting from February 24. It is likely that ‘Hitman’ Rohit Sharma could be rested for some matches before he could join his Indian Premier League franchise Mumbai Indians.